The wind and water know all the earth’s secrets. They’ve seen and heard all that has ever been said or done. And if you listen, they will tell you all the stories and sing every song. 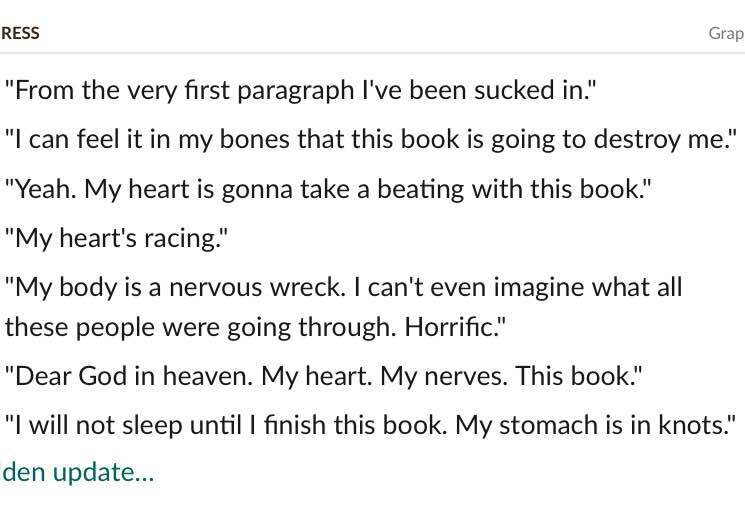 From the moment I read the prologue I knew this story was going to hit me harder than any other book I’ve read lately. And I was so right. In fact, I’m pretty sure this story was written just for me. There are small details that connect me and I can’t even explain what that feels like. I know it sounds silly, but it’s true. Without giving away spoilers I will just say this, at 10% I started to cry and I didn’t know why. I was noticing things that had me breathless and speechless. Even as I’m typing now, there are tears in my eyes. The talk of the past and how these people are no longer with us always makes my heart clinch. 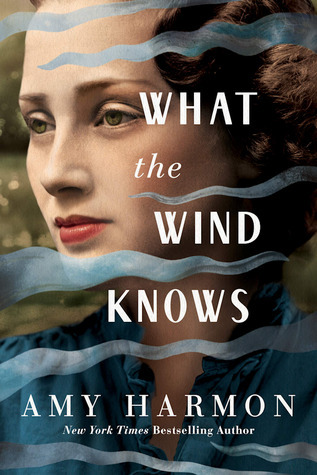 Anne discovers things that she never knew, but yet, she always knew. This story is rich in history and romance and I was swept away. What the Wind Knows had an Outlander feel to it, due to the time traveling, but it was so much more than that. This book was so rich in history, I felt like I was there. The people were real, as were their struggles. My heart broke when theirs did. The romance between Anne and Thomas made me swoon and cry. I’m not even kidding. When I say I was crying, I mean I was CRYING. I woke up one morning at 4:30 to finish it. And by the time I was done, my pillow was soaked and my eyes were red and puffy. I was breathless and overwhelmed by every word I was reading. I may never recover. I enjoyed the story. I also found myself laughing out loud more than once at the diary entries. I might have even gotten a wee bit emotional at the running race. However, I found myself getting a bit wound up more than once over the body shaming and name calling. I mean, Zoe and Greg faced discrimination daily. Faced judgement based solely on the size of their clothing. Yet they didn’t seem to mind doing the same type things to people they knew who were overweight or those that weren’t “perceived” as attractive. Perhaps some might say I am being too politically correct. I don’t care. Body shaming and any other shaming (be it how someone dresses or looks) really bothers me. More and more each day it seems. I don’t want to lighten up over it. I don’t care if you’re making a joke about it. Or you’re just being judgemental amongst yourselves. I don’t think it’s right. I think it’s a bit hypocritical to have two characters that are trying to change their lives because they are sickened by being judged or ashamed of how they look and feel and then have them turn around and do the same thing. Personally, it really turned me off and bothered me. I started this book and immediately found myself drawn in. As the book continued I admit, I started to become angry with the wife. I can’t imagine how hard it would be to let go and accept someone whom you loved a great deal had died if they remained in contact with you. I really felt bad for the husband. As the book continued on more, I became outraged at this dead wife. I kept trying to put myself in her shoes. Why would she do this? I put myself in her husband’s shoes. How awful it must have been for him. Why oh why would she do all of this? Why wouldn’t she had just been honest and up front when she was alive? As the book approached the ending… well, I finally understood. I can’t say I agreed with her reasoning…or her methods…but I could finally understand to some degree. 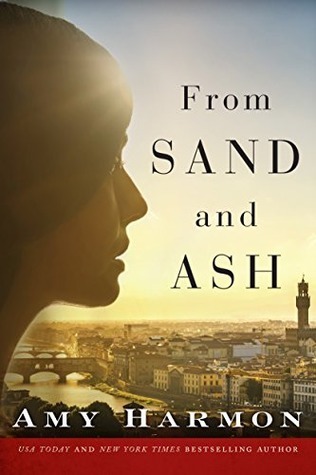 Even when I was incredibly angry with these characters, I remained invested in this novel and couldn’t put it down. I rushed through it to make sure it would all turn out alright. Sure, I figured out some of the “surprises” in the ending…however, the path I thought we would be taking to get there was different from I expected. I finished this novel and didn’t feel any anger about emotional manipulation as I often do with these “surprise twists” at the end. I admit I know very little of world history. What snippets I can recall I get from tv or movies. I know what happened in 1943, but yet I only know a little bit. This story opened up a whole new aspect, of this time, that left me speechless and devastated. The last time I read a book of this magnitude was The Bronze Horseman. This book was just as epic. This book transported me to a time in which I cringe when I think of it. The atrocities that happened. The heartache that happened. The overwhelming evil that creeped in and touched everything. My heart hurts with this knowledge. But with all the pain comes love. Love that held tight and wouldn’t let go. Love so powerful it made me heart race and caused my breath to stop. Eva and Angelo’s relationship over the years was an all consuming love. No matter what happened, or what situation they found themselves in, in the end it was all about love. If they were terrified, all they had to do was think about each other and they would find a way through it. I found myself on the edge of my seat quite often. As you can see from my updates, this book knocked me for a loop. Oh my gosh. My simple words can’t portray how much this book has left an imprint on me. I think about it almost daily, since I’ve read it. My heart weeps at the loss of a generation but at the same time at the courageousness of the people. And the love. The unyielding love. Read this book. Dying isn’t funny. Or at least it shouldn’t be. But somehow this wonderful little gem of a book makes it so. Libby’s perfectly crafted world comes to a crashing halt in the span of less than a day. Not only does she find out that she has cancer, likely very quickly ending her life, but she also finds out that her dear husband is gay. So she does what any of us would do in that same situation. She quits her job, which she hated anyway. She kicks her husband out and sells their apartment. She purges herself of all her worldly possessions and takes a lengthy trip to the Caribbean. Make perfect sense, right? She soon finds out, however, that simply crawling into a corner and waiting to die isn’t as easy as it might sound. She has a brother and father who both love her dearly. She finds herself relishing the simple things in life, such as the feeling of warm sand between her toes. She strikes up an unlikely friendship with her elderly landlady. And then there’s Shiloh, the handsome pilot she finds herself falling for. When he discovers that she plans to give up without putting up a glimmer of a fight, he quickly lets her know that’s not an option. Make no mistake, this is a romance story. But it’s also a funny story, one about family and bouncing back. It’s a story about not giving up regardless of the curveballs that life inevitably throws your way. 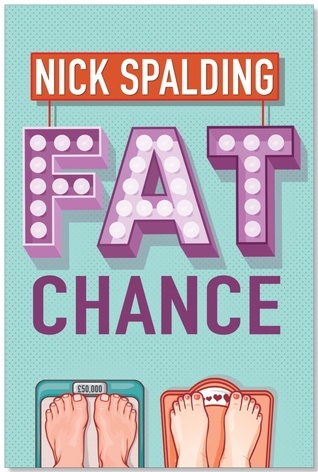 The writing is witty and wry, and the characters are so likeable that you almost forget that it’s a work of fiction. A fun, inspiring read! 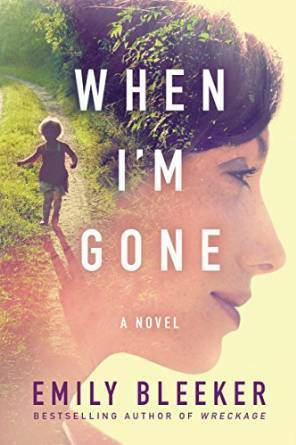 Catherine Ryan Hyde is one of my most reliable authors. Without fail, her stories make you feel. Their characters are so real and appealing that you can’t help but root for them. Her newest book is no exception. Worthy is his name, but that wasn’t always the case. Once upon a time, not so very long ago, he went by the name of T-Rex. I know, that’s not a very practical name for a dog. But there’s rationale behind it. Anyway, he once belonged to a woman who loved him very much. But there was a man, a not-so-very-nice man who didn’t want to compete with a dog. So he was dropped off, destined to freeze to death. But a young man found him and saved him. Or did he actually save the young man? It seems as if they both needed each other at the same time. Through this one not-so-extraordinary dog, two people find each other again. Never fear, this isn’t a love story. Not really, at least. It’s more than that. It’s the story of a tragic ending to what might have been. And it’s the story of friendship and connection many years later. It’s the story of people helping each other get over their fears and their weaknesses. And it’s not really so much about the dog. 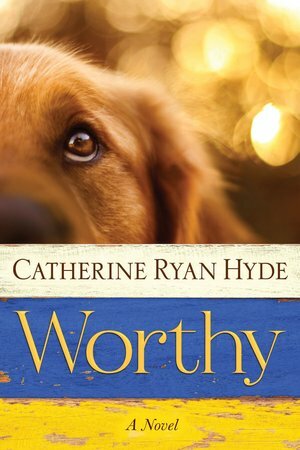 Worthy just becomes the key that unlocks the past for both the woman and the young man. This is a story that’s both sweet and sad. Things don’t end perfectly and happily ever after, but life seldom does. It’s a story that will leave you satisfied, and your heart will be a bit fuller.